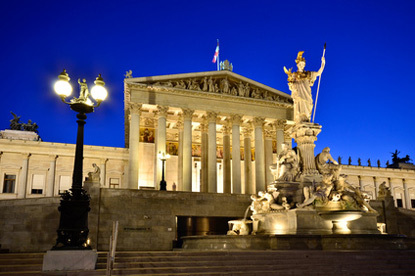 Austria (Österreich in German) is a federal republic created in the aftermath of World War I from the German-speaking part of the Austro-Hungarian Empire and re-created in April 1945, after seven years of annexation to Germany. 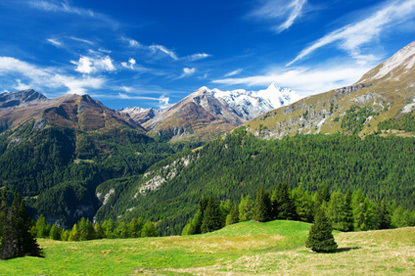 Austria is the highest and most mountainous country in the EU, with 68% of the territory lying above 500 metres (1,640 ft). The Duchy of Austria became an independent state in 1156, when it detached itself from the Duchy of Bavaria. In 1278, Rudolph of Habsburg, King of Germany, seized the duchies of Austria and Styria from Ottokar II of Bohemia. His descendants would rule Austria until 1918. Under the aegis of the House of Habsburg, Austria quickly expanded its influence inside Europe, acquiring notably the Kingdoms of Hungary and Bohemia by the marriage of Albert V to Elizabeth of Luxembourg in 1421, as well as Burgundy and the Low Countries through the union of Maximilian I to Mary of Burgundy in 1477. 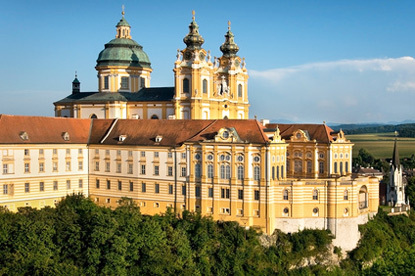 The Habsburg of Austria would also provide all the Holy Roman Emperors from 1440 to 1740, then again from 1745 until the dissolution of the empire by Napoleon in 1806. By that time Austria had become an empire of its own (from 1804) and would remain one until the end of the First World War. 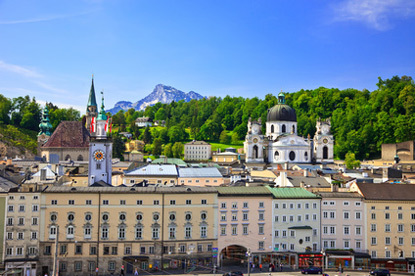 Nowadays, Austria is one of Europe's most prosperous nations, enjoying the lowest average unemployment rate over the last 50 years and the highest GDP per capita at PPP in the EU after Luxembourg. 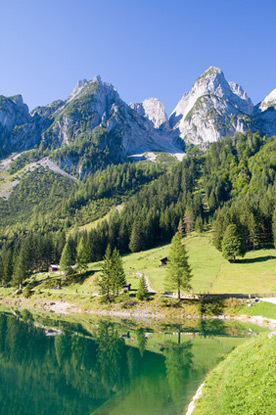 Austria also has one of the lowest income inequalities, similar to Scandinavian countries. 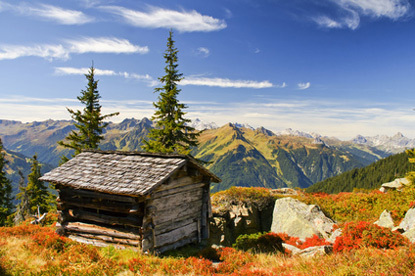 23 million foreign tourists visited Austria in 2011, nearly three times more than the country's population. This is the highest ratio of tourists to locals of any sizeable country on Earth (excluding city-states). 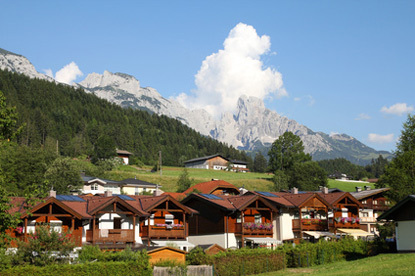 Famous people from Austria include (chronologically and excluding a long list of royalty): the composers Joseph Haydn, Wolfgang Amadeus Mozart and Franz Schubert, the physicist Christian Doppler, the composers Johann Strauss Sr. and Jr., the founder of psychoanalysis Sigmund Freud, the composers Gustav Mahler and Arnold Schoenberg, the automotive engineer Ferdinand Porsche, the philosopher Ludwig Wittgenstein, the physicists Erwin Schrödinger and Wolfgang Pauli, the mountaineer Heinrich Harrer (author of Seven Years in Tibet), the industrialist and WWII hero Oskar Schindler, the conductor Herbert von Karajan, the F1 champion Niki Lauda, the businessman Dietrich Mateschitz (founder of Red Bull), and the skydiver Felix Baumgartner. 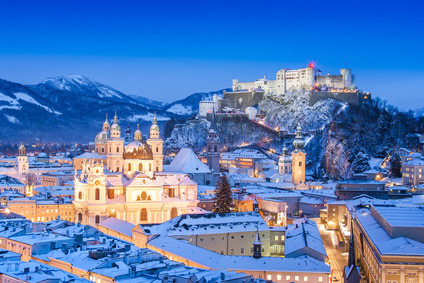 Austrian cuisine is very eclectic due to the multicultural nature of its former empire, which used to spread from the Adriatic Sea to the Black Sea via the Carpathians and the Danubian basin. Meat dishes and sweet pastries are prominent features of Austrian cuisine. 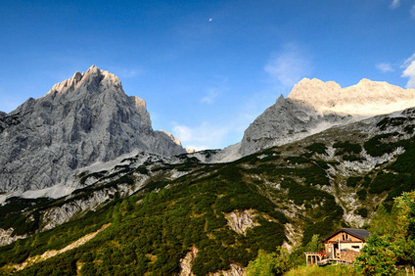 Lying at the junction of northern and southern Europe, Austria produces both beer (Egger, Gösser, Kaiser, Ottakringer, Stiegl, Zipfer) and (white) wines. 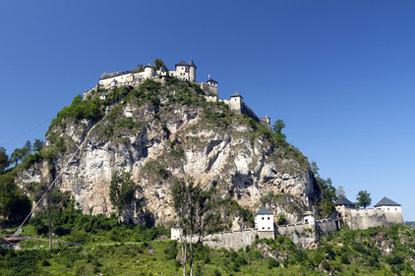 Famous dishes include Beuschel (a ragout containing veal lungs and heart), Gulasch (a rich stew with meat and onions, sometimes served with fried egg, fried sausage, or dumplings), Rindsuppe (beef soup), Tafelspitz (beef boiled in broth; the national dish of Austria), Vanillerostbraten (beef cutlet dish prepared with garlic, salt, pepper, butter, onions, and brown bouillon), and Wiener Schnitzel (breaded and deep fried veal Schnitzel). Among famous pastries and desserts, let's cite Apfelstrudel (layered pastry filled with apple, raisins and cinnamon), Millirahmstrudel (milk-cream strudel), Germknödel (yeast dumpling filled with spicy plum jam and topped with vanilla cream sauce), Kaiserschmarrn (caramelized pancake with nuts, cherries, plums, apple jam, raisins and/or chopped almonds), Marillenknödel (dumplings filled with a full apricot or mirabelle plum), and Sachertorte (Viennese chocolate sponge cake with a thin layer of apricot jam in the middle). 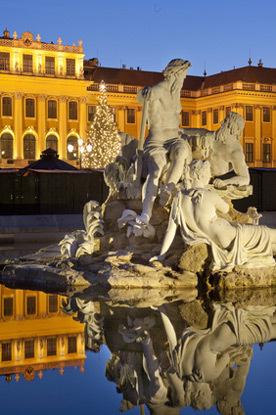 Vienna is one of the foremost culinary capitals of Europe. 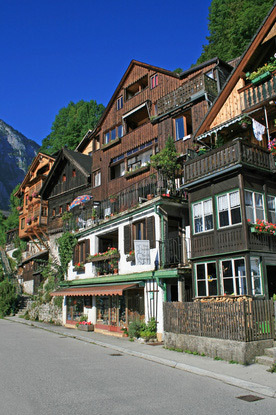 It earned more Gault-Millau toques than any other European city except Paris and London. 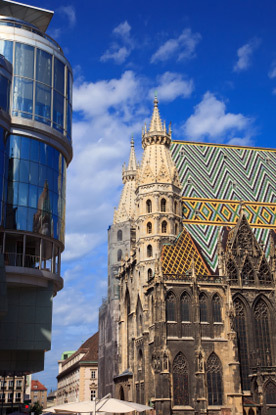 Vienna is particularly renowned for its coffee house culture, which was designated an Intangible cultural heritage by UNESCO in 2011. The tradition goes back to the late 17th century and experienced its heyday in the late 19th and early 20th century, when literary cafés where the meeting place for many famous artists, scientists, and politicians of the period. Eupedia's travel guides allow you to plan your holidays/vacations by browsing all the popular tourist destinations by region. 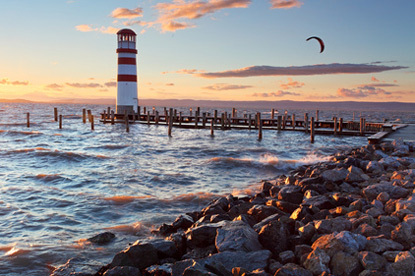 Our visual approach gives you an instant glance at the attractions that you might be interested in. To make your trip planning easier, we have carefully rated each destination based on their sightseeing value. 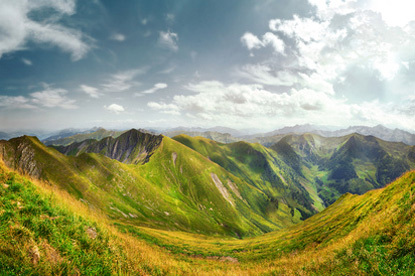 The oldest and by far the largest national park in Austria, spreading on 1856 km².